I'm trying to print a hollow shell with no infill and no bottom layer, but the problem that arises is that there is no support generated inside, causing the build to be not possible. 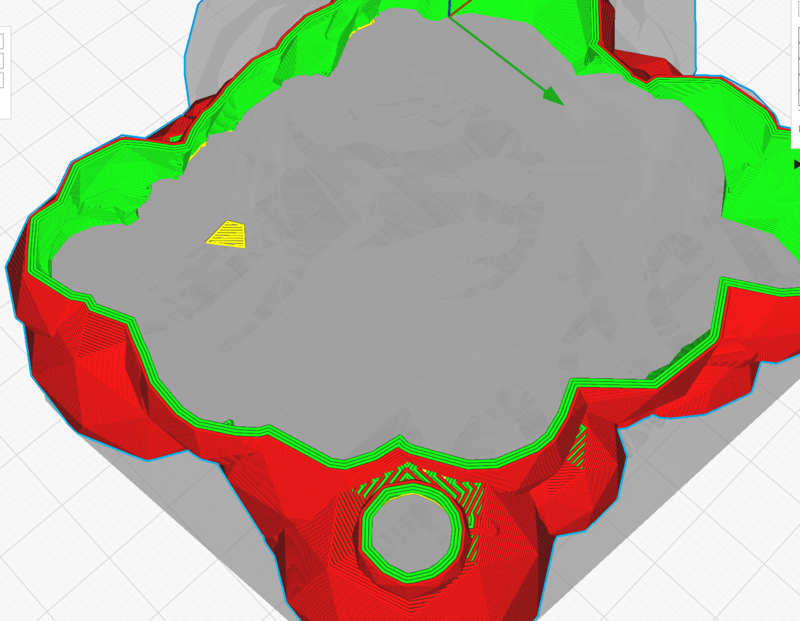 Are there any options with Cura to have support inside when you don't use infill and bottom layer. The only option with Cura would be flipping the shell up-side-down, but that would cost twice the filament and print time, which I would like to avoid.